WordPress is used by millions of websites, so as it is, no doubt, the best blogging platform. WordPress is very popular not only among professional bloggers, but also used by many magazines, marketing firms and companies, involved in online business. 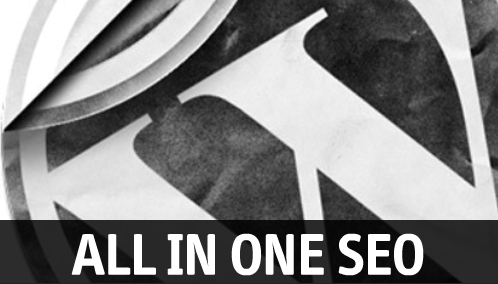 It’s widely known that SEO optimization occupies a special place for the project promotion on the Internet. SEO helps to promote the brand in future, so you have to know basic SEO concepts even if you’re not specialist. If you have your own blog, business or portfolio – do everything possible to increase the credibility of your brand and attract potential customers, as it will increase your income. 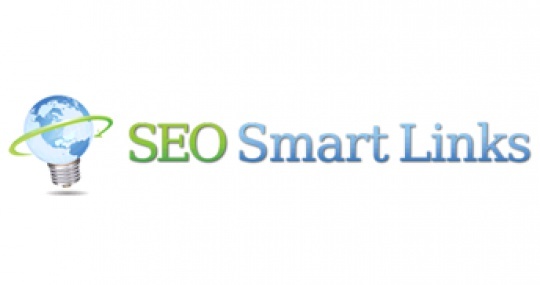 SEOs main object is to promote their website to the top of SEs, and first of all – in Google. On-page SEO is a separate column in the list of such methods. Let’s consider the best WordPress SEO plugins which in a greater extent help to implement internal SEO correctly. Improved content quality. There is a snippet preview and checking of normal title and description length. Page analysis. Allows to keep track of images and keywords presence in text and meta description. Meta and links. You can control pages indexation in SEs (e.g., for default categories only first page is available). XML Sitemaps. It supports visitors’ posts, pages, images, etc. When saving XML Sitemaps it sends notifications to Google and Bing. Google XML Sitemaps is no longer needed. RSS optimization. You can add RSS link to the original blog post, as well as some other information. It’s used instead of “Add code to RSS” plugin and manual edits in the template. Editing files .htaccess, robots.txt straight from the admin panel. Multisite compatibility. Plug-in and its setup properly work for multiple sites. Import and Export. A useful option for multiple blogs: once you’ve set up Yoast, you can use Export-Import for many times. Settings import from other plug-ins. Permalink – advanced settings for references. Here, by the way, you can remove /category/ from links sections. Yoast allows to refuse Category SEO Meta Tags, which is used for adding of META data to category pages and tags in WordPress. Yoast considered as the best SEO plugin for WordPress by many as it easily replaces such WordPress plugins as Breadcrumb NavXT, Google XML Sitemaps, Category SEO Meta Tags, Add code to RSS, etc. 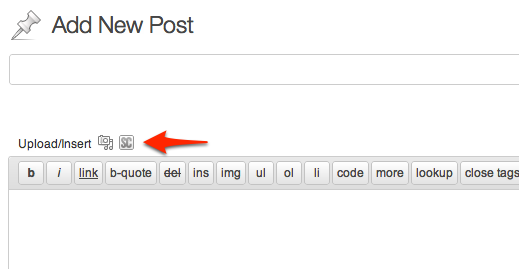 Title and meta tags set up for all blog pages. Automatic generation of titles and descriptions. Elimination of unwanted sections, archives and blog pages. Can be connected to Google webmaster, Bing, and Pinterest. Blog adaptation profile SERPs by your id account in options. Index settings (noindex) for columns, archives, search page, the authors’ archives. Has a section for making exceptions to the optimization. Generates keywords and descriptions for the proper blog display in on social networks; loads the image of the homepage. Blog speed regulation by increasing the memory limit. Convenient blog (and plugins installed) statistics. SEO Pack is not an ordinary highly tailored module, but a complex SEO system – maybe, the best SEO plugin for WordPress for site search promotion. The best SEO WordPress plugin for serious business from Copyblogger Media. It’s paid – it costs 97 $ in the most popular configuration (but you can order a trial version for a month with the possibility of a guaranteed refund). The module allows to integrate Drupal to Scribe SEO in order to evaluate the document just by pressing a single button. Proper document content analysis helps to increase traffic from SEs. SEO process can be divided into four key parts: keywords, content, links and site structure. Most SEO works is concentrated on all or a single part of these areas. Authors participate in optimization process by using reports and content analysis, which are executed automatically. With Scribe SEO, one can evaluate content and semantic core structures to find suitable keywords based on the use of search engines. Scribe SEO Analyzer has its own buttons, using which you can quickly jump to the document evaluation. When you press this button, the module sends a header, content, meta-data and the URL to service server and displays recommendations. Used for the creation of page micro mark-up. Alas, but you have to mark each page individually. If you have a lot of published articles, the work will be great. How to use Schema Creator? Go to the editing page and note the target place for info location, then push «Add Schema» button. Specify the type of the article: this determines the graphs that will be shown for editing. If your article is dedicated to a particular topic (products, events, organizations, etc.) – choose the appropriate option; if it does not fit into any of shown topics – choose Review, as if you write a review on something. Name and Description. Fill it the same way as it is written in the corresponding tags. Specify not the site, but article URL. Item Name. Specify the author’s comments (to leave this field unfilled is not desirable for Google). Item Review. Write a review text, but do not the entire article. Sing articles with your real data. Pub date. Specify the date in the calendar. After you fill all the data above, click “Paste”. Check the micro mark-up in Google structured data testing tool. Designed for users who want to create the contacts page, optimized for SEs. This plug-in takes data, that you’ve specified in settings, and automatically fill all contact page or part of it. The information includes company name, hCard/vCard form address, hours of operation, phone numbers, social media icons with links, payment methods, QR-code, Google map, etc. It’s quite useful WordPress SEO plugin for small business: in helps to improve company contact page. Search engines do not handle cards with more than 50,000 URLs and 10 MB weight. This problem is no longer exists, because instead of one huge static sitemap.xml file, many small dynamic sub-maps are used. For each type of content (posts, pages, categories) there are own xml-files, sorted by month. Less load on the server, so you don’t need to generate a huge file. Small files load faster than a large one. SEs can see when a separate sub-card has been changed, so they scan it without superfluous motions. Images optimization is a part of SEO. You can manually set the attributes, tags, pictures, or you can install the plugin, which performs it automatically. How and why images must be optimized? Search engines respond to the media files. In search results you can see not only text snippets, but the themed pictures and video. If the image is optimized, it will give more traffic to the site. What are the requirements to the pictures? First of all it is uniqueness, correct URL, assigned attributes and tags, jpg or png format, low weight, high quality and relevant surrounding text. % title – substitutes the post title. SEO Friendly Images facilitates the optimization of images – you can forget about tags and attributes, focusing on other more important issues. The best WordPress SEO plugin for those who want to use keywords as anchor text for the promoted page. Imagine you need to promote a page on high-frequency query “SEO”. Besides backlinks, you need to use internal linking, which does not cost anything and gives a lot of weight. If the plug-in is configured correctly, it will automatically refer any “SEO” query to the specified page. It saves a lot of time, as there can be a great number of such pages. Internal linking protects site against theft of content. Often, context links are not removed, and sites get a lot of free backlinks with the necessary anchors. Posts – links that will be put in the posts. Allow links to self – link shouldn’t be referred to the page where it’s placed. Pages – specify if you want links to be put on static pages. Target – acceptor, to which you refers. Pages and Posts – additional internal linking for posts and pages. Prevent linking in heading tags. T should be clear (without links), so choose this option. Ignore – specify pages and words that should not be used for linking and as anchors. Limits (Max Links – number of links from one page, Max Single –number on links with one keyword in anchor, Max Single URLs – number of links from the whole site, referred to one particular URL). No possibility of spreading internal linking through article body. If the article is large, most of relinked words concentrate at the top (in case there is a limitation). No possibility of setting priorities. It happens that unimportant words are linked instead of important ones before the limit is reached. But still this SEO WordPress plugin is quite useful for SEOs and all those who need internal linking. Each set of blog has numerous pages, and sometimes their addresses change, articles removed and user who came to the site for a specific purpose faces 404 error. In most cases he simply closes the site and further goes to look for what he needs. However, every visitor counts and you should not allow this. Install Redirection in /wp-content/plugins/ and activate it in admin panel. Support for both internal Apache redirects. RSS feed for 404 errors. Transit request redirect to another page, file, or website. Creating redirects, based on URL, browsers, referrers, or the visitor’s status. Automatic addition of 301 redirect when changing URL record. Export to CSV, XM and .htaccess. 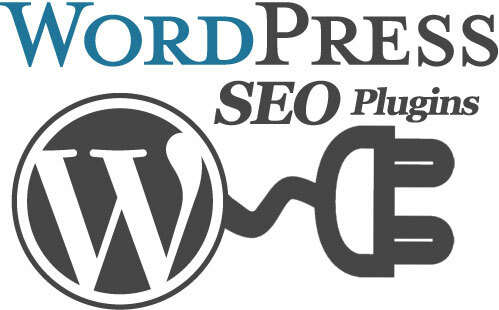 This SEO plugin for WordPress plugin solves complex problems as a large food processor, which can cook almost everything. The disadvantage is that Redirection requires a lot of memory and loads system. The plugin has 3 modules: WordPress, Apache and 404 errors. 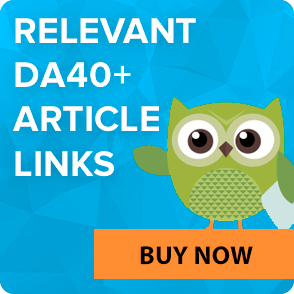 404 module engaged exclusively in recording errors (you can disable the tracking of some addresses); WordPress and Apache differs between each other by the fact that when using WordPress plugin, redirect is processed through WordPress, while Apache provides processing on your server, using of the .htaccess file. Of course, the second way is faster, but applying it you lose a huge plus of this plug – its statistics. The second term in the plugin is a Group, used exclusively for comfortable communication. Redirections can be united into groups. For example, the automatic redirection when changing records address is placed n a separate group “Change records”, which is very convenient. 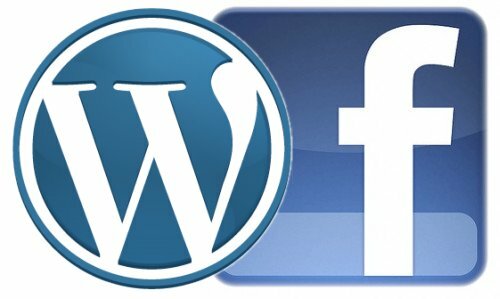 The official plugin fully integrated with WordPress, which allows you to use all the features of the eponymous social network. Refer a friend or page on Facebook. This can be done at the stage of writing the post in the editor window. Set the title of your content for the Facebook-publishing. As soon as you publish the contents, it appears in your friends’ tape. It has a great impact on the social activity of your site. 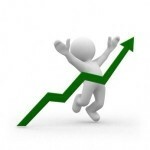 It can be used for free for one site with fewer than 3000 daily page views. Paid Pro plans give access to more features. 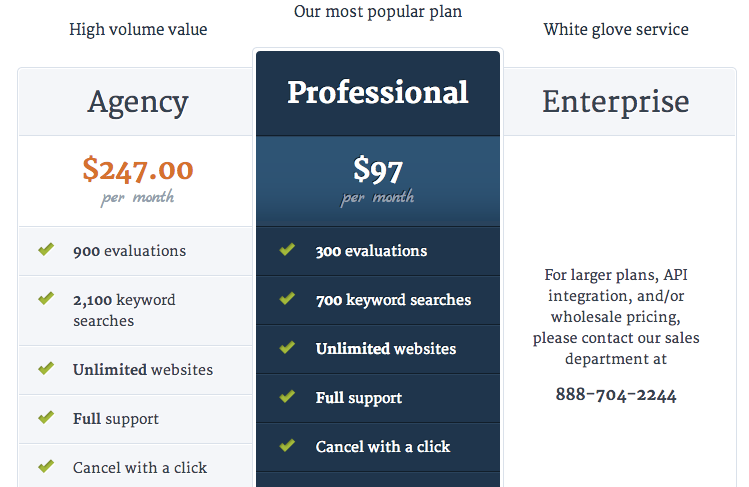 Let’s review a plan based on Pro with 10 site and 10 thousands daily page views. Clicky easily integrates with lots of web software packages (Tumblr, Magento, Vanilla Forums, Squarespace, Joomla, etc.). The plugin has admin panel and widget structure. You get the control panel and separate panels for each site that should be customized. You can use not only drop-down lists to change the data on the display, but also the advanced configuration Clicky options in order to determine what widgets must be displayed on each panel. A target bar that is quite easy to copy to another site. Enabling and disabling of the Ajax interface. Disabling of automatic Safe Browsing (if there are conflicts between your HTTPS protocol and Firewall). Temporarily disabling of the analytics. Changing the site individualization on the main dashboard (e.g., by giving a friendly nickname). Show or hide provider’s reports. Set up reports sending via e-mail. Creation of widgets that you can embed on your website. Subscribe to the RSS channels. Warnings on the basis of actions. HeatMap information and real-time data for the visitors. Each of the widgets can be changed immediately, and that makes Clicky the best WordPress plugins for SEO in terms of simplicity. If you expand the data on the visitors, you can count site visitors, number of backlinks added, etc. It’s is quite easy to handle. After activation, enter the account number in Settings → Google Analytics. In addition to installing the counter code, plug-in eliminates the calculation of visits and enables tracking of 404 errors and transitions by external links. For more experienced users, plug-in offers the ability to use custom variables, where you can transfer information such as the current category, tag, author, date and more. The plugin code is quite clean and safe, and in spite of small number of comments in it, it is easy to read. You can install WP Google Analytics automatically in your WordPress administration panel or manually – by downloading it from WordPress.org. Incompatible software is rather widespread feature, especially in Windows OS. Typically, the conflict is expressed by system notifications or format discrepancy of source files. For example, .docx format can be incorrectly processed by free analogues of the office (though the same problem appeared in earlier versions of Microsoft Office). But the incompatibility resides also in Internet, and webmasters may face it when working with management systems and WordPress plugins for SEO in particular. The more popular CMS – the more problems with web plug-ins from different developers it has. And WordPress is not an exception, as it has a huge catalog of ready-made solutions to improve functionality. But often even the installation of several dozen different plugins does not give any visible failures, as they rarely intersect with each other and perform narrowly focused actions (avatars, site map, email forms, etc.). But as in any situation, there are exceptions. For example, two popular SEO WordPress plugins “Antispam Bee” and “All in One SEO Pack” do not work correctly in the active mode, in spite of that one of the plug-ins processes the comments for spam and other provides advanced search options. There is a conflict in the “title” tag, which is displayed in the top of the browser tab and used by SEs as the main title: when activating both plugins, “title” got automatically overwritten on the title of the main page, set manually in “All in One SEO Pack”, or on a default title. The only possible solution is not to use “Antispam Bee” as the less important tool. Thus, some conflicts (even if you use the best SEO WordPress plugins) are not eliminated in any other way as the removal of incompatible add-on. It’s strongly recommended to check the work of the newfound plug on compatibility and correctness.